Thereâ?Ts something strange in your neighborhood! Save the world from paranormal activity by subduing the vapors, entities and slimers at famous New York locations from the original Ghostbusters movie. Improve your locations with custom sculpted Ghost Traps and Storage Units to hold the spooks at bay. No job is too big, no fee is too big in this custom edition of MONOPOLY! For 2-6 Players. 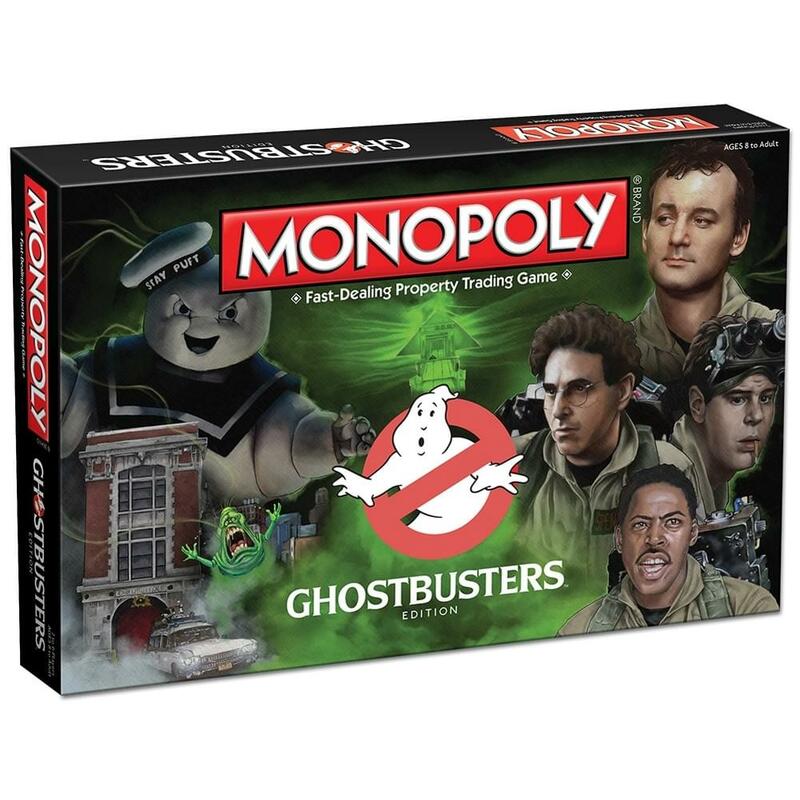 Includes 6 Collectible tokens: Ecto-1, Stay Puft, PKE Meter, Zuul, Slimer, Proton pack, Custom houses Ghost Traps and hotels Storage Facilities, Custom Designed Game Board featuring locations from the original movie, Custom Community Chest, I Ain't Afraid of No Ghost and Chance, Who Ya Gonna Call Cards, Custom themed MONOPOLY money, and Instructions. This item can only be shipped to North America. This item can only be shipped to North America - No exceptions! Thereâ?Ts something strange in your neighborhood! Save the world from paranormal activity by subduing the vapors, entities and slimers at famous New York locations from the original Ghostbusters movie. Custom game board features famous locations from the original Ghostbusters movie! 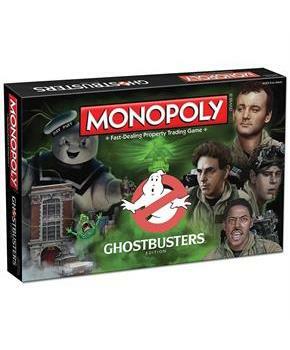 Includes 6 Collectible tokens: Ecto-1, Stay Puft, PKE Meter, Zuul, Slimer, Proton pack, Custom houses Ghost Traps and hotels Storage Facilities, Custom Designed Game Board featuring locations from the original movie, Custom Community Chest, I Ain't Afraid of No Ghost and Chance, Who Ya Gonna Call Cards, Custom themed MONOPOLY money, and Instructions. This item can only be shipped to North America.